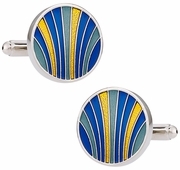 Why enamel cufflinks you might ask? 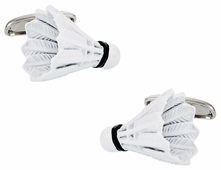 Well, it's simple. 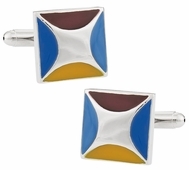 Enamel provides luxurious, rich color and incomparable durability. 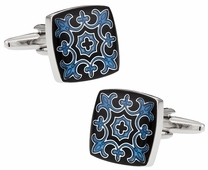 When we need to add bright, bold colors to a men's accessory design, enamel is the first material to come to mind. OK, here's how it works. 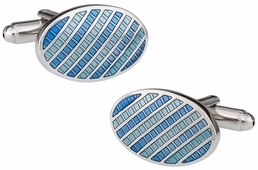 You start with a glass "paste" and adhere it to a metal surface through extremely high temperatures. The result is a resilient material and a contemporary accessory. 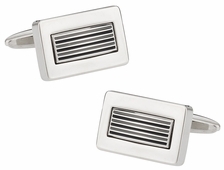 In the spirit of full disclosure, Cuff-Daddy didn't invent this process, we just perfected it. The ancient Egyptians invented this process in the 15th century -- they did it without heat. Enamel can be incorporated with gold plated, sterling silver, gunmetal, rose gold, and many other metal choices. 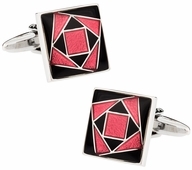 The design can choose to include crystals for a little shine to the design. 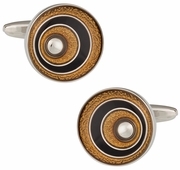 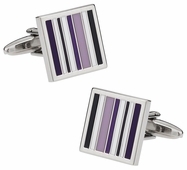 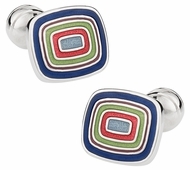 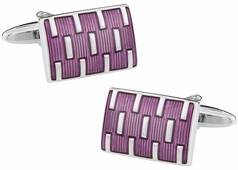 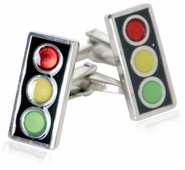 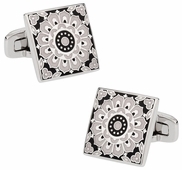 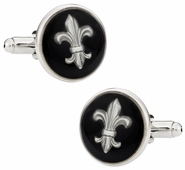 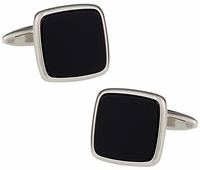 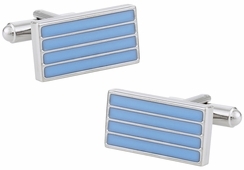 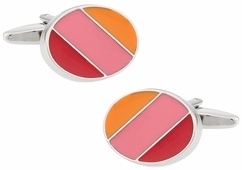 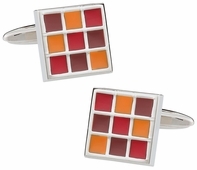 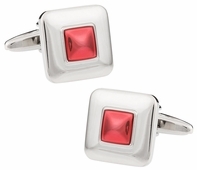 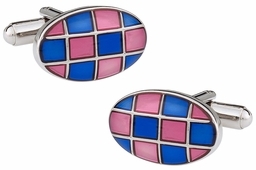 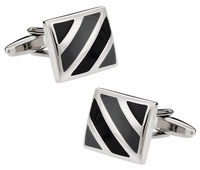 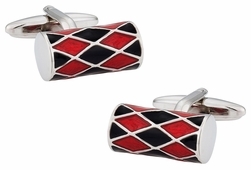 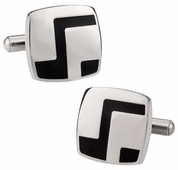 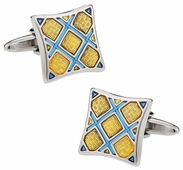 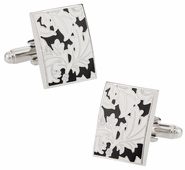 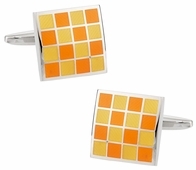 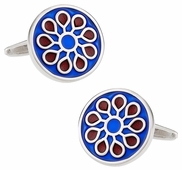 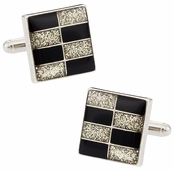 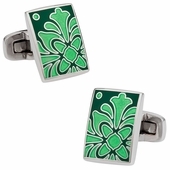 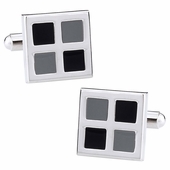 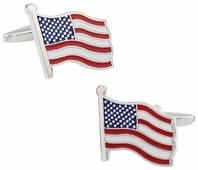 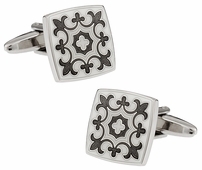 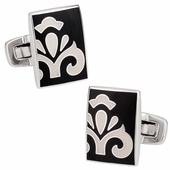 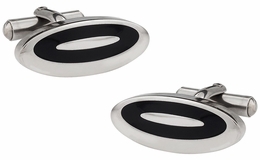 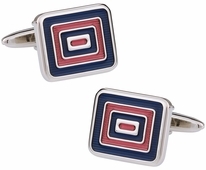 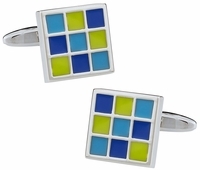 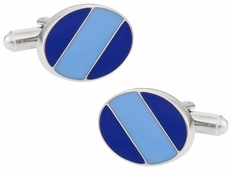 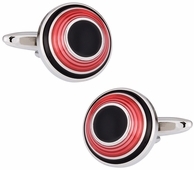 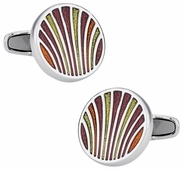 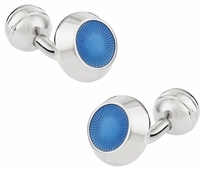 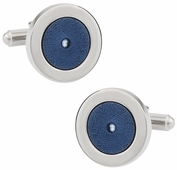 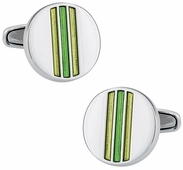 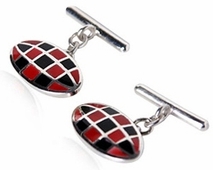 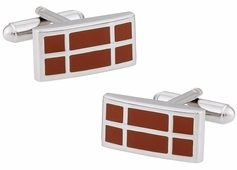 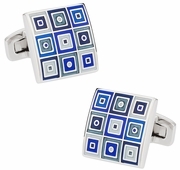 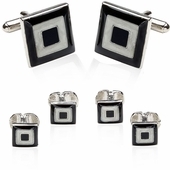 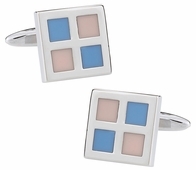 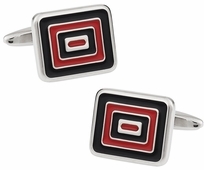 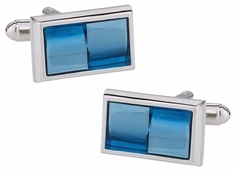 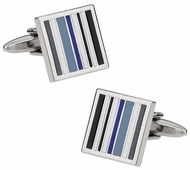 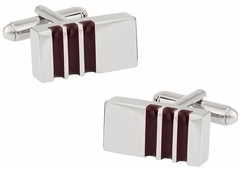 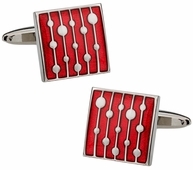 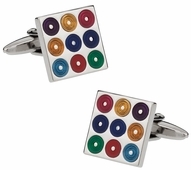 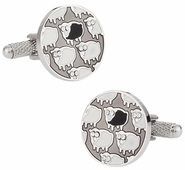 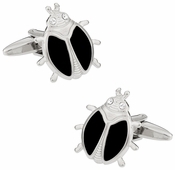 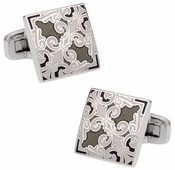 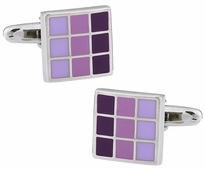 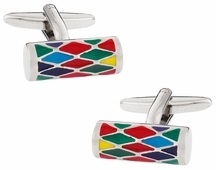 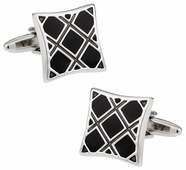 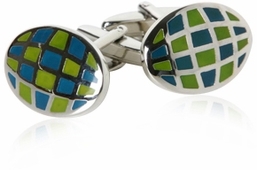 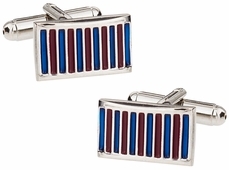 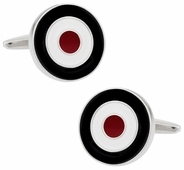 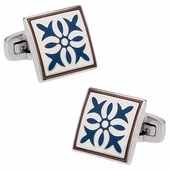 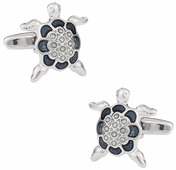 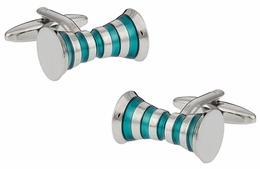 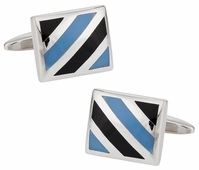 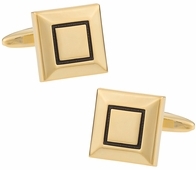 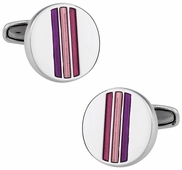 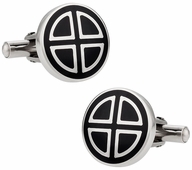 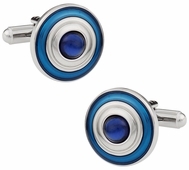 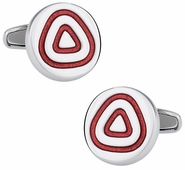 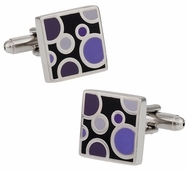 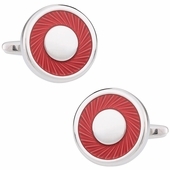 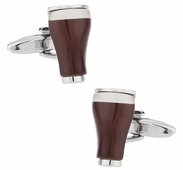 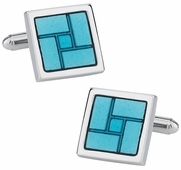 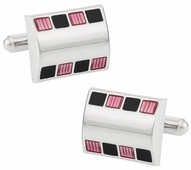 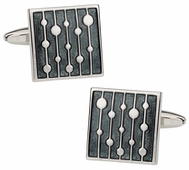 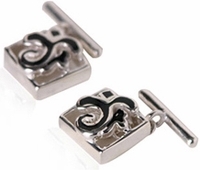 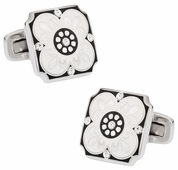 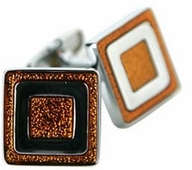 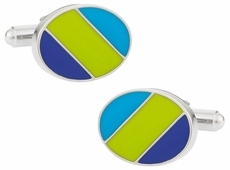 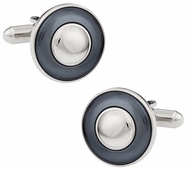 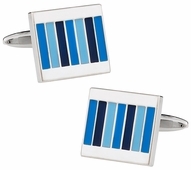 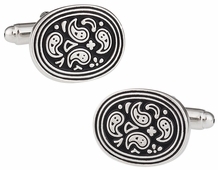 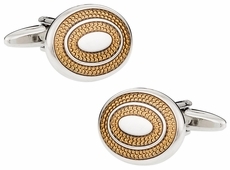 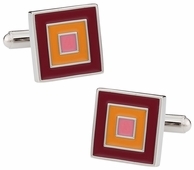 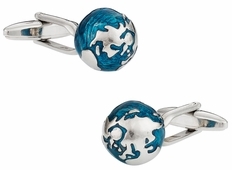 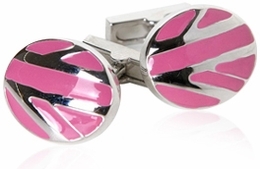 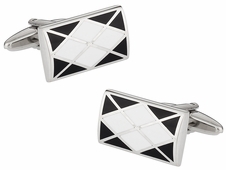 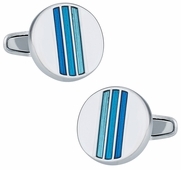 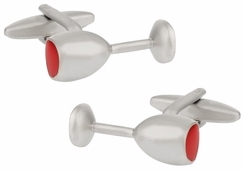 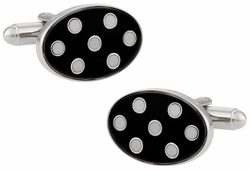 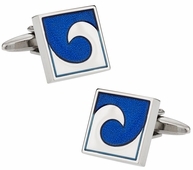 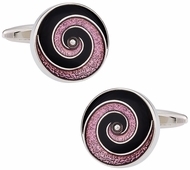 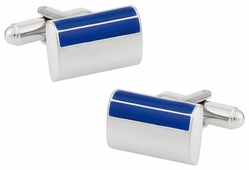 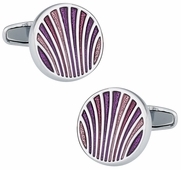 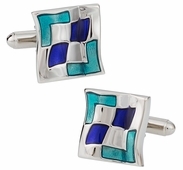 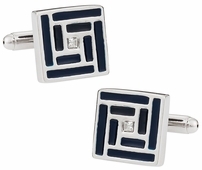 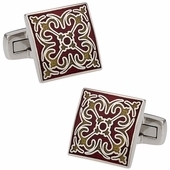 With enamel cufflinks you have a variety of design and colors you might not see with some of the other choices. You can choose a design that means something to you or something that you like. 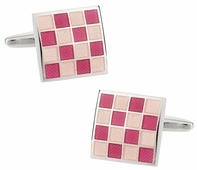 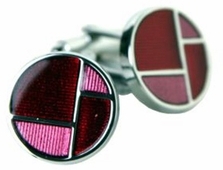 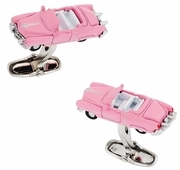 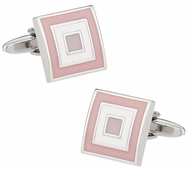 For example if you are a quilter and a modern woman you might prefer the quilted enamel cufflinks in pink or green. You have a quilt like pattern that offers varying shades of green or pink depending on your color preference. 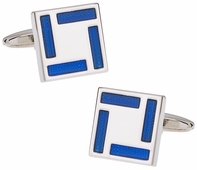 These are square links, but you also have other enamel varieties at cuff-daddy.com which provide different styles such as a rectangle. 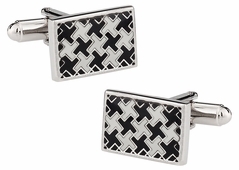 If you want a slimmer style consider the Argyle set in black and white which is more of a rectangular shape or perhaps the lines metal. 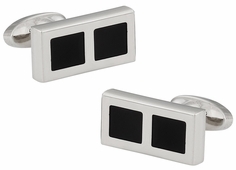 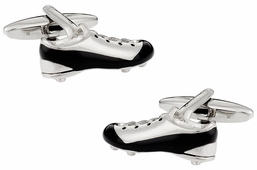 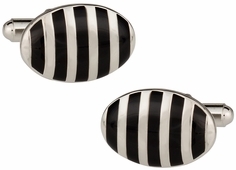 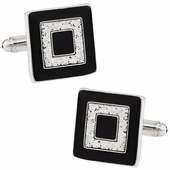 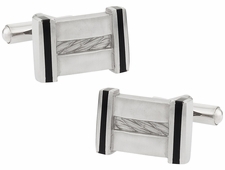 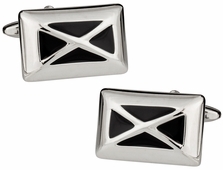 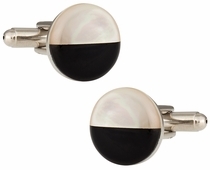 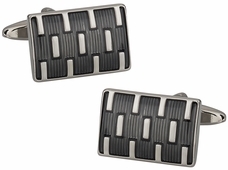 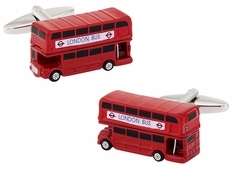 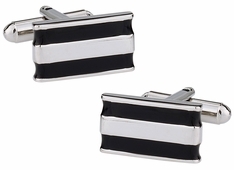 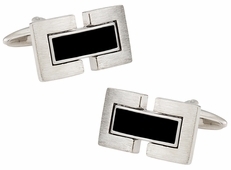 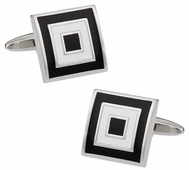 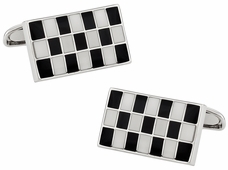 This pair offers black and gray enamel with a silver rectangle the lines sit on. 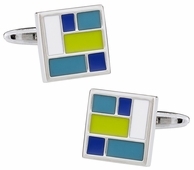 Some might seem a little mundane in their appearance or perhaps you just prefer vibrant colors with a bit of whimsy. 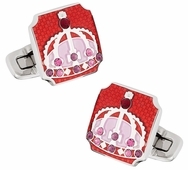 If this is the case consider the Royal Crown in red. 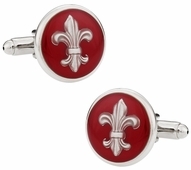 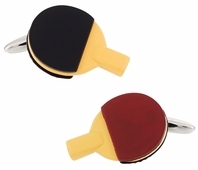 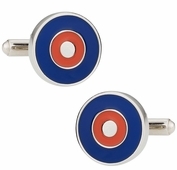 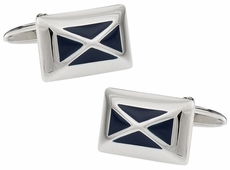 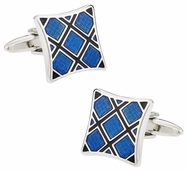 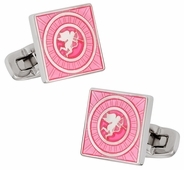 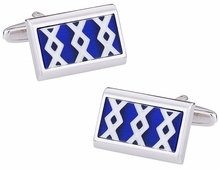 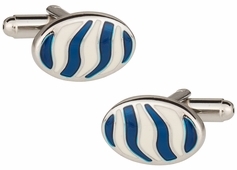 You can always show your royal side with these stunning and unique enamel cufflinks. Want your sleeves to glow? 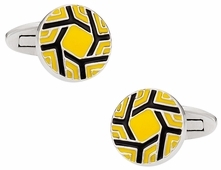 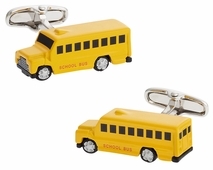 Check out our selection of yellow cufflinks at Cuff-Daddy.com. 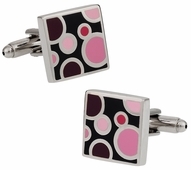 We have a quality selection of links for men and a solid variety of ladies designs as well. 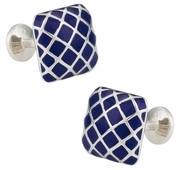 No matter what the occasion, you can spruce up any outfit with these little sleeve gems. 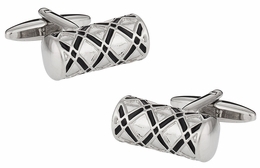 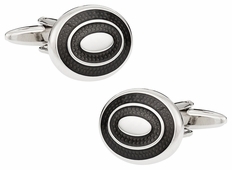 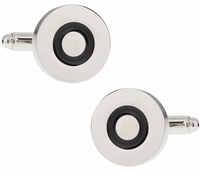 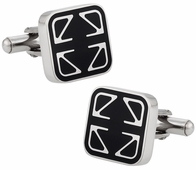 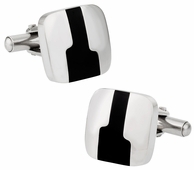 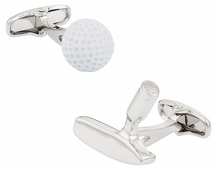 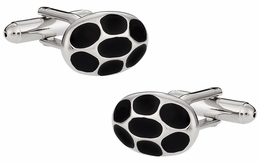 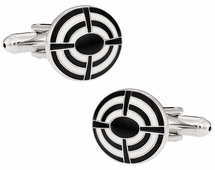 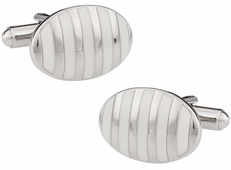 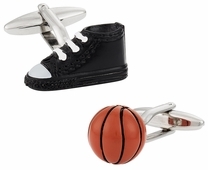 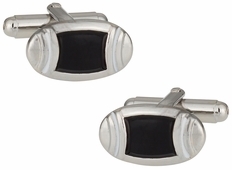 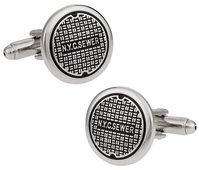 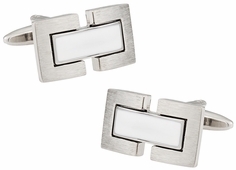 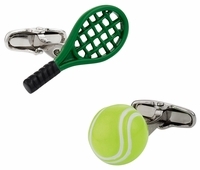 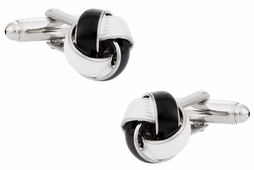 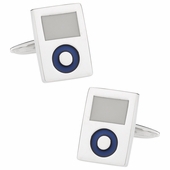 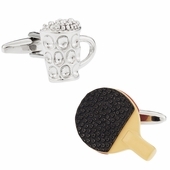 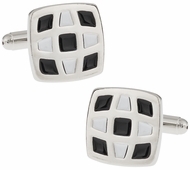 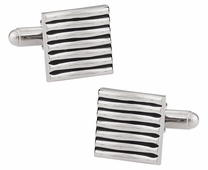 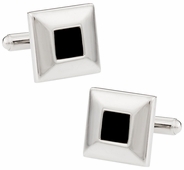 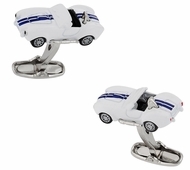 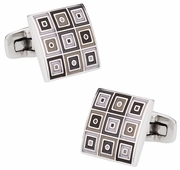 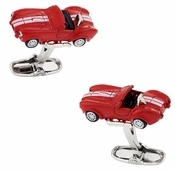 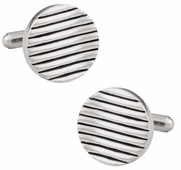 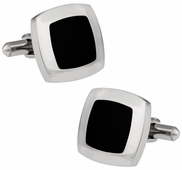 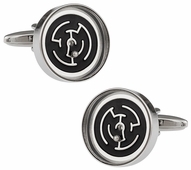 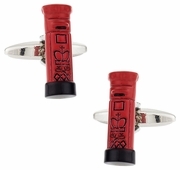 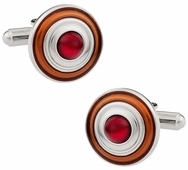 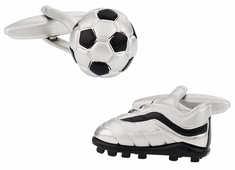 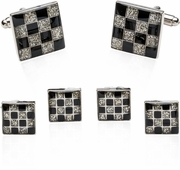 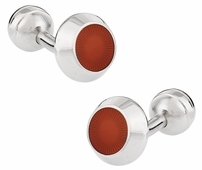 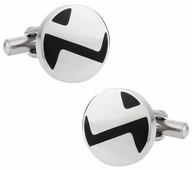 Cufflinks add a touch of class to every wardrobe ensemble. 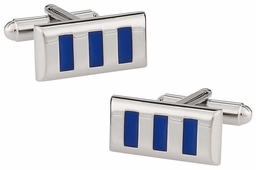 If you are shopping for grooms accessories, keep in mind that we offer bulk rate discounts on larger group orders. 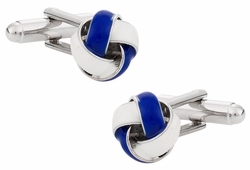 Whether you're looking for men's cufflinks or links for her, at Cuff-Daddy you'll find exceptional links at very affordable prices.